Career Development Plan - Still Be a Professional Ballet Dancer if I Started Late? I started being really interested in ballet at about age 11. I had had two years of classes when I was 5-6, but became disinterested. I also took jazz for three years and cabaret for one year. This year I started becoming obsessed with ballet, and is what I really want to do when I grow up. I wear my dance shoes around the house so I can practice non-stop. I read books about ballet and have a french tutor so I understand the correct words. In a nutshell, I am crazy about ballet. My Mum took me to the Swan Lake ballet, and I was reading the biographies on the dancers and some of them started at age four. I also live on the coast and there are not many outstanding dance schools around here. I want to become a professional Ballet Dancer so badly!! 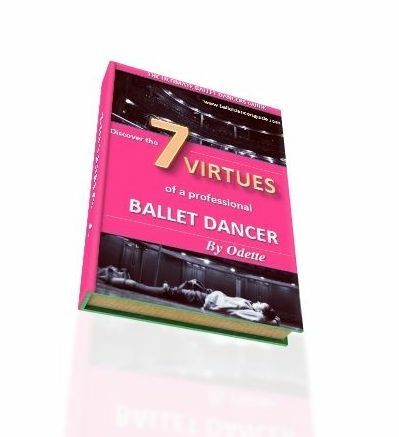 To: Career Development Plan - Still Be a Professional Ballet Dancer if I Started Late? Thank you for contacting me, it is great to hear from you. It is encouraging to hear your high interest for ballet, and it is this sort of commitment you need to become a professional dancer. Ballet dancing requires a lot of demanding training, so if you are not entirely committed, it is too easy to give up. Dancers have to be very determined and always believe in themselves. also other examples of dancers who joined a vocational school at the later age of 16 and still made it as a professional. Therefore, it varies with every dancer. Yet what every professional dancer will have in common is the process of training. To become a professional dancer, the committed training is essential. The training allows dancers to build strength and learn the technique of ballet, as well as perfecting this and developing as a dancer. Dancers become interested in ballet at different stages, but you can join a vocational dance school from the age of 11 to 18. Dance isn’t just a hobby anymore, but what you strive towards, and a vocational school offers regular training, as well as academic studies, so dancers can commit to dance whilst still doing school. If dancers are talented enough to join a vocational dance school, it is a great opportunity that will give the chance to become professional. Yet not all dancers make it into a vocational school straight away at aged 11, it takes persistence and hard work to try again, and often dancers succeed a second time round. For you, if you are passionate about becoming a professional ballet dancer, you will need to find proper training and a good teacher. A vocational dance school doesn’t have to be the option straight away, but once you develop more strength and practice as a dancer, it would be a good idea to audition for various vocational dance schools to see if you can begin the steps to become professional. It is not an easy route to choose, but if you are talented enough and the passion is there, you will enjoy every second of the process. Comments for Career Development Plan - Still Be a Professional Ballet Dancer if I Started Late? Don't worry. I ddin't start until I was 9 and I've heard from ballet taechers that real ballet training doesn't begin until you're 7 or 8 so, if a dancers tarted when she was 2 and has ahd the same training as a dancer who started when she was 7 or 8 the the most likely are at the same ability. Kristi Boone and Misty Copeland both didn't start ballet until they were 13 and they are both soloists for the American Ballet Theatre!! Here are some links to watch them dance and talk about their careers. Misty Copeland: http://www.youtube.com/watch?v=d6kZ90_0eKc, http://www.youtube.com/watch?v=R6YSbHa2gSY. If you can't viwe these because you can't click on them then, highlight and copy the addresses and then press enter. These videos have always inspired me.